Image: DC Comics. Art by Howard Porter. It’s been less than a year since DC’s Rebirth pulled Wally West—the first one, that is—out of the speedforce and back into the world of DC Comics, his memory of the old DC universe in tow. Now, he’s going to be thrust into a comics fan debate of old for a new storyline: Who’s the better speedster, Wally or Barry? Announced among the hubbub of Dark Nights: Metal and Doomsday Clock at New York Comic Con, “Flash War,” by current Flash team Joshua Williamson and Howard Porter, will see Wally and Barry put at odds to decide who was worthier of the mantle both of them have held across decades and decades of Flash stories. 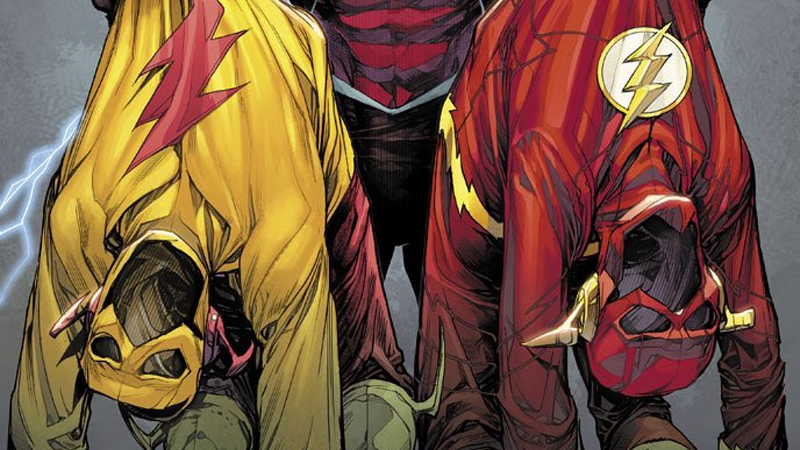 Weirdly enough, despite the fact that the cover released sees Wally looking upon his old Flash and Kid Flash speedster suits, guess who’s not invited to the competition? The young New 52 version of Wally West, who’s still running around as Kid Flash in the Titans and, more recently, with Deathstroke’s burgeoning superteam. “Flash War” will try to find out when it begins in the Flash annual in January of next year.